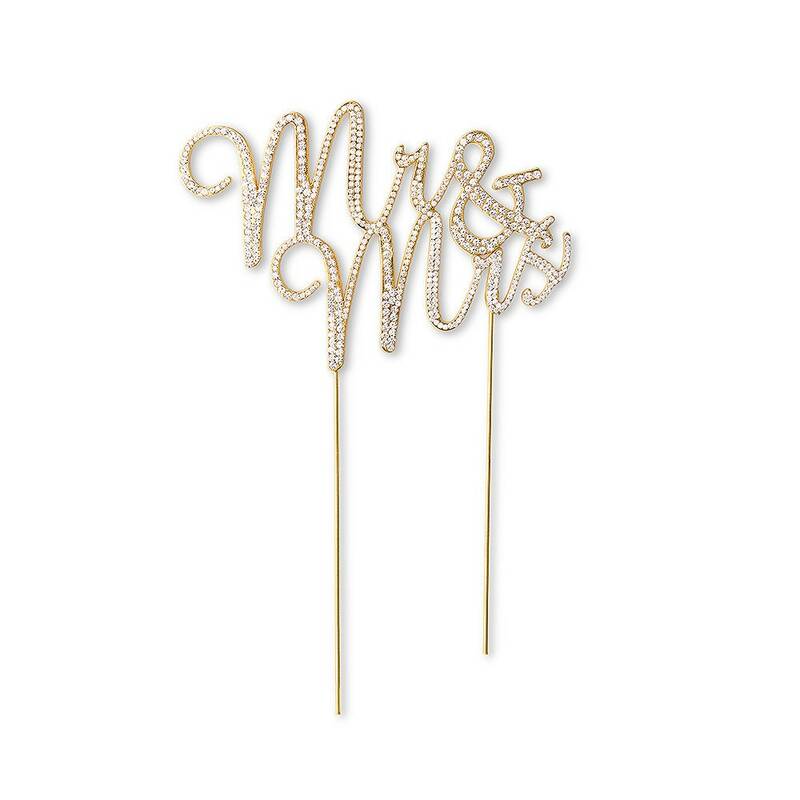 Start your new life together with some "bling"! 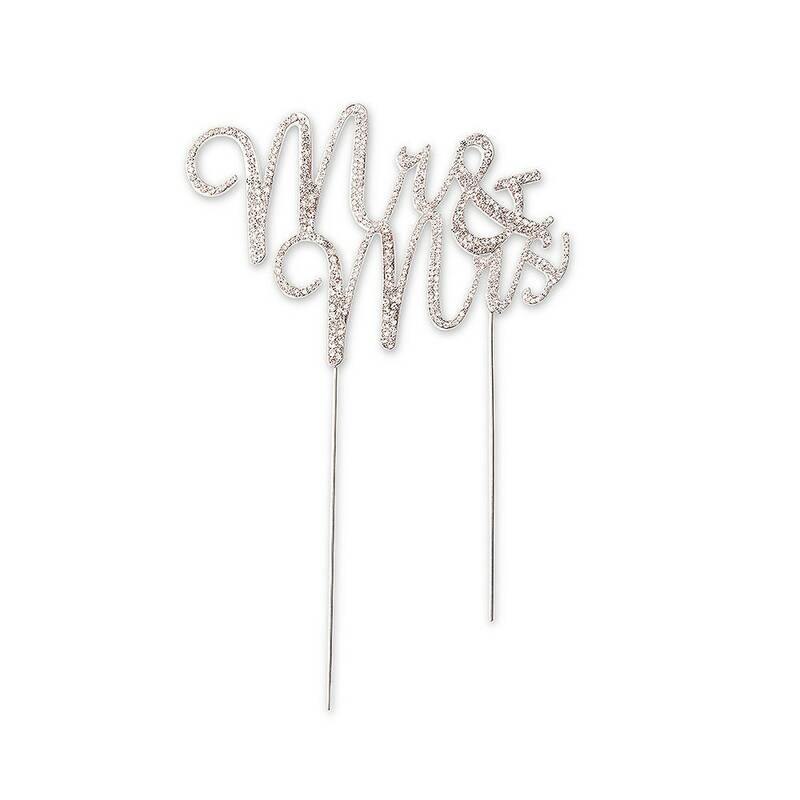 Crystal rhinestones set in silver is a recipe for eye-catching sparkle that elevates the glamour of this classic Mr. & Mrs. cake topper. 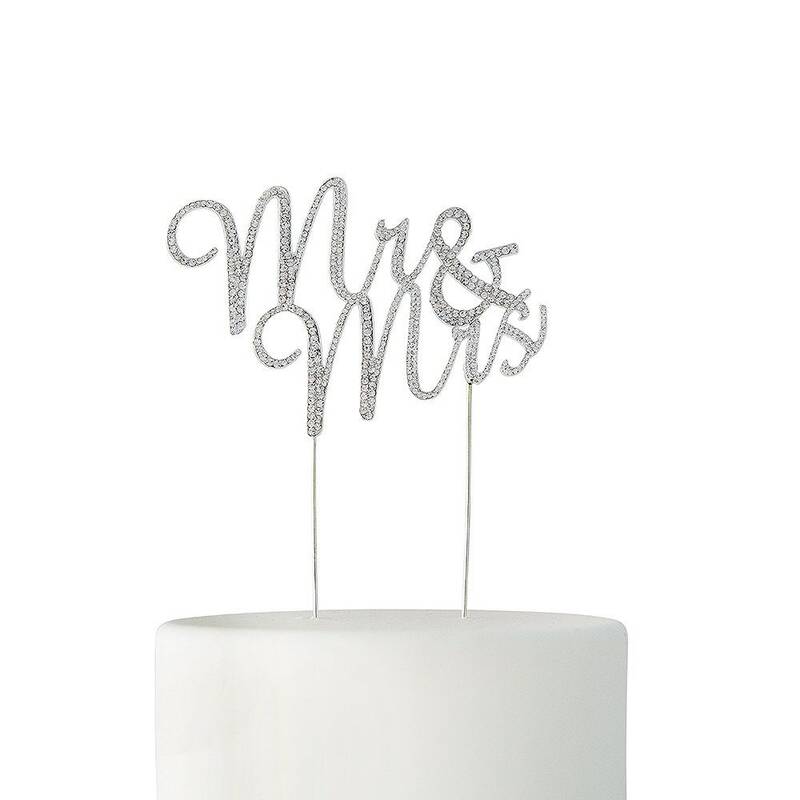 Display these two simple words crafted from sturdy metal using the food safe picks that will slide easily and discreetly into your cake. 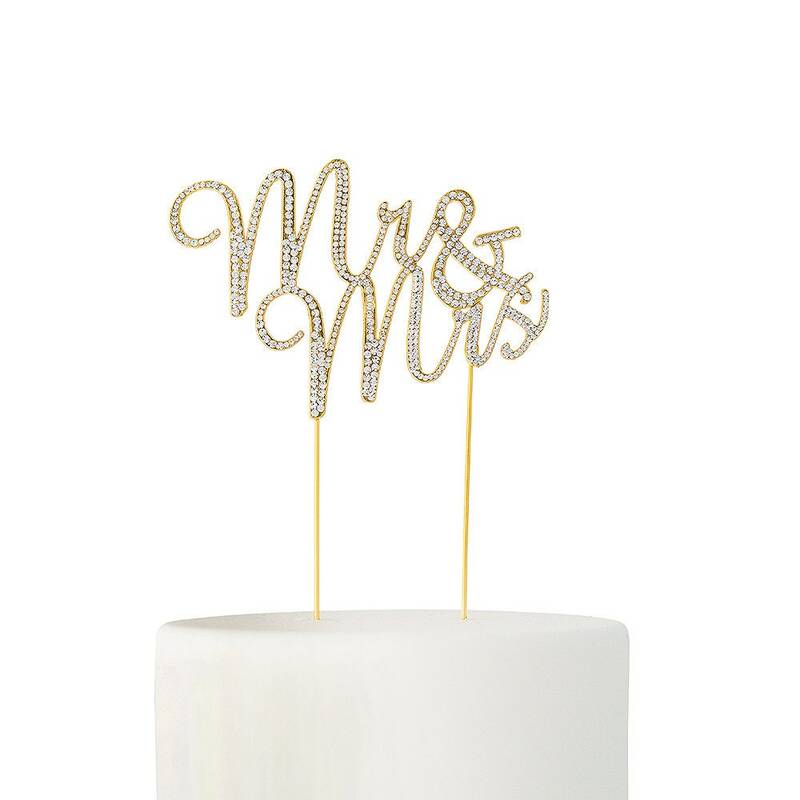 This truly is the ultimate in glittering dessert jewelry.